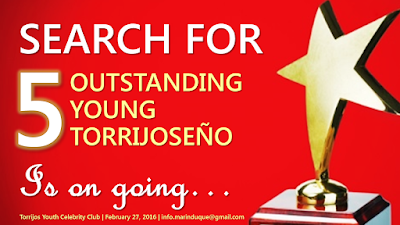 The Outstanding Young Torrijoseño Awards (TOYTA) is presented by Torrijos Youth Celebrity Club to an individual or individuals who exhibit excellence in their careers and have made a valuable contribution to the Town of Torrijos. To be eligible, a candidate must be a young professional grew up or a residence of Torrijos, Marinduque working in the government, private or non-government organization. A young professional is defined by the club as being 30 years of age or younger. Recipients should have a significant amount of service to the society and/or should have made a contribution that far exceeds normal expectations. It could be an exceptional contribution over the short term or a sustained contribution over the long term. Nominations will be reviewed by the Honors & Awards Committee. Please fill in the details below and send it through email: info.marinduque@gmail.com, SMS: 0977.649.4754 or PM it directly to our facebook account. The committee will accept nomination until Feb 5, 2016, EOD. 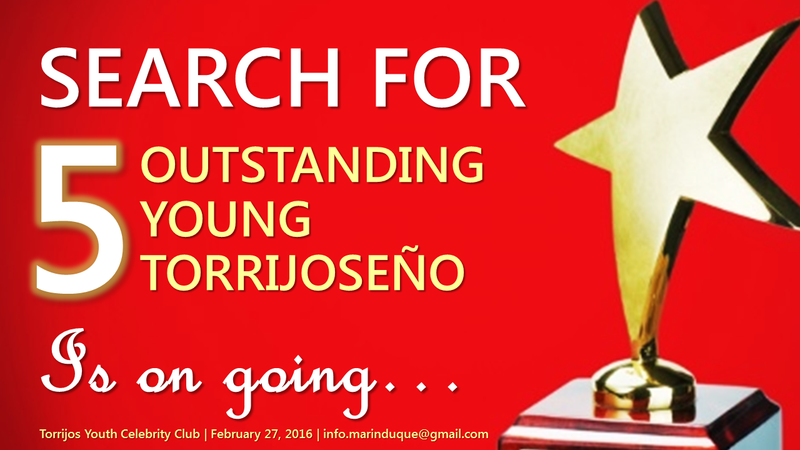 The award will be presented in the annual gathering of Torrijos Youth Celebrity Club on February 27, 2016, Saturday at the Penthouse, Eastgate Center, 169 Edsa, Mandaluyong City. Please click here to download the copy of the Nomination Form.